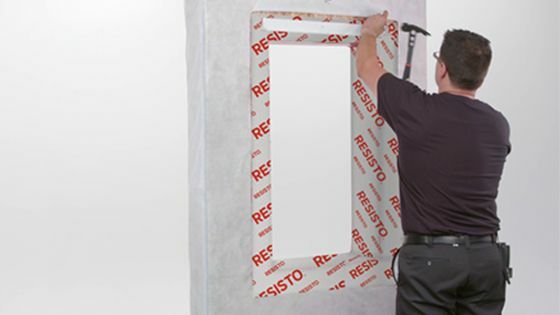 Discover Our Brand-New Membrane for Doors and Windows! 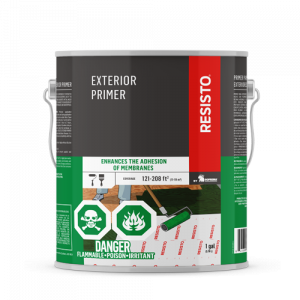 All Surfaces, All Weather, No Primer. 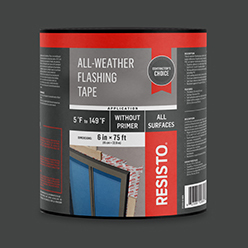 RESISTO’S ALL-WEATHER FLASHING TAPE is a self-adhesive membrane made of rubberized butyl which prevents air and water infiltration. 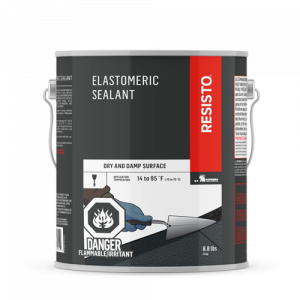 It can be easily applied on wood, aluminum, polyethylene and PVC as well as air-barrier membranes and exterior fiberglass gypsum. 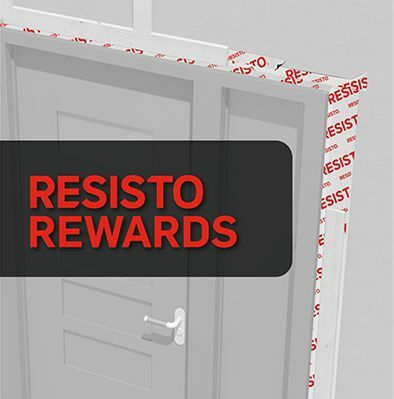 This is the perfect time to test and adopt our new all-weather flashing tape with the RESISTO REWARDS program. For a limited time, get 5× the points. 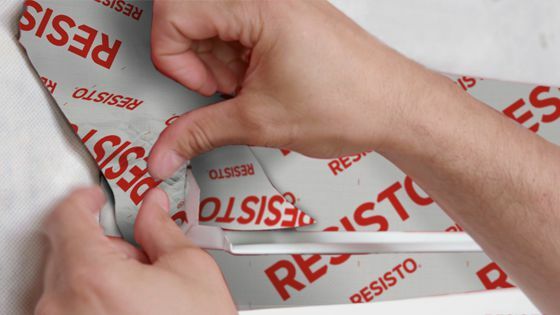 By submitting your invoices on the RESISTO REWARDS platform. Applicable on the following product codes: #22767, #22858, #22860 and #22859. Offer valid from April 1 to May 21, 2019. 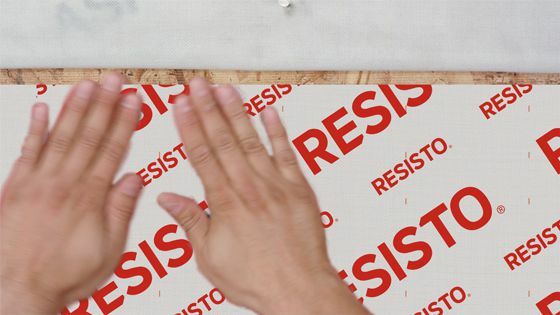 Superior adhesion at temperatures ranging from 5 °F to 149 °F (-15 °C to 65 °C) without primer. 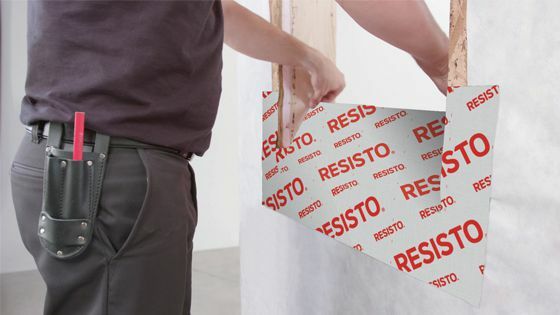 Excellent adhesion to most common construction materials, including PVC. Self-sealing around nails, screws and clips. 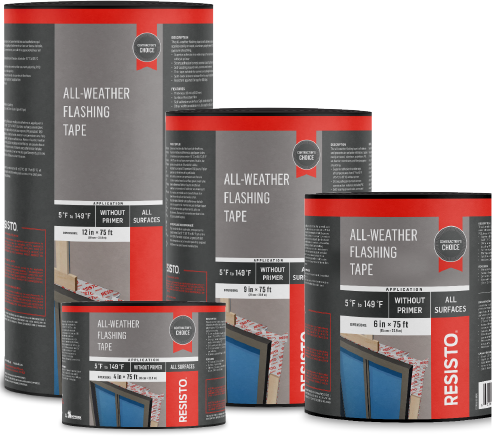 Thin tape suitable for corners and siding of doors and windows. Resistance to UV rays for 180 days. Four formats available: 4 in (10 cm), 6 in (15 cm), 9 in (23 cm) and 12 in (30 cm). Learn more about the product! Insert the ALL-WEATHER FLASHING TAPE corner guards on the weather barrier to prevent infiltration. 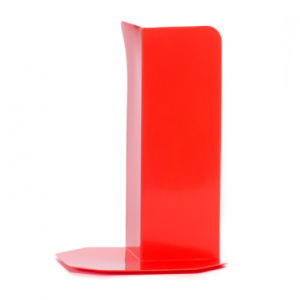 Mechanically secure the ALL-WEATHER FLASHING TAPE corner guards. Apply an ALL-WEATHER FLASHING TAPE strip on the lower part of the window and cover 2 to 3 in (5 to 7.5 cm) of the weather barrier. Cut the membrane on each side of the opening and adhere it with a membrane roller. 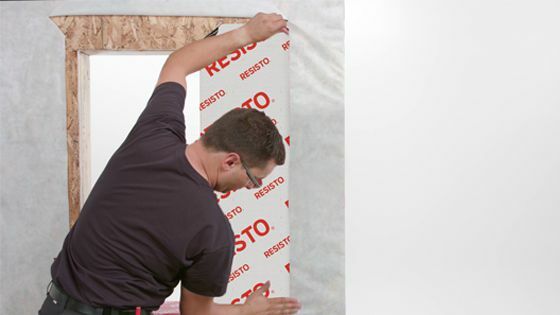 Install a membrane strip from 2 to 3 in (5 to 7.5 in) on the weather barrier of the joist. Lift the upper weather barrier. Adhere an ALL-WEATHER FLASHING TAPE strip to cover the top of the window. 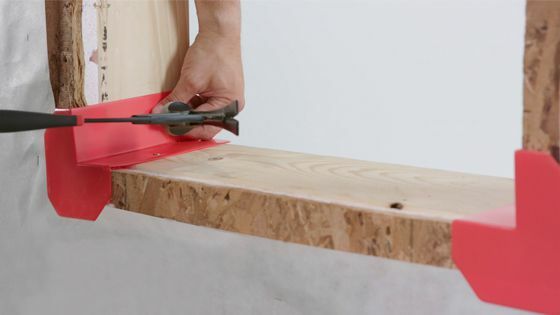 Install the metal flashing according to the building code. Fold the weather barrier membrane in place. Cut 1 in (2.5 cm) of the weather barrier to clear the metal flashing. 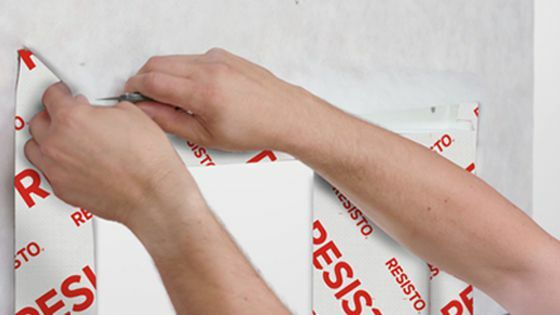 Seal the metal flashing corners by installing an ALL-WEATHER FLASHING TAPE membrane strip obliquely on each end.